Ada Zhang & Jacob Gonzalez created WOOF as a way to provide all-natural foods and whimsical, unique items for pets at reasonable prices and high-quality service to their human friends. 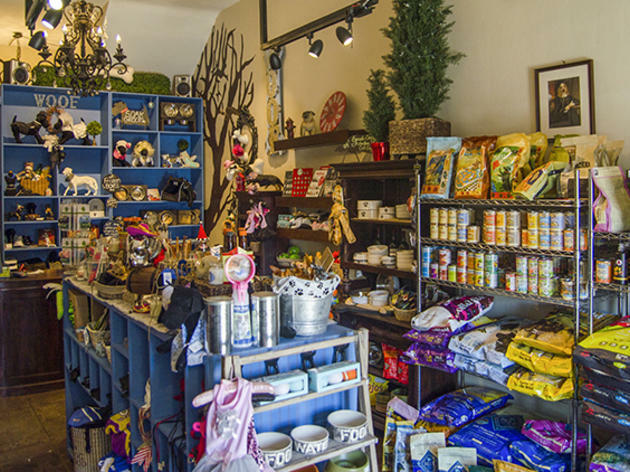 Holistic kibble, delicious treats and even organic baked goods for your best friend’s birthday can be found at WOOF, but canine couture is really the store’s main draw. Everything from formal wear to rock star tees (a hound in Hendrix, perhaps?) can be found here. Also, be sure to check out WOOF’s SOAK grooming service, which provides your furry friend with a luxurious spa experience. 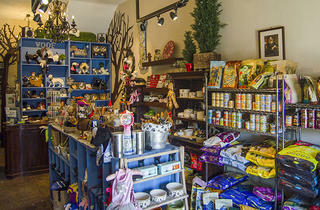 SOAK uses all natural, organic, soap-free products while shampooing your pets. A mud conditioning treatment follows, which leaves them feeling soft, supple and especially snuggle-able.